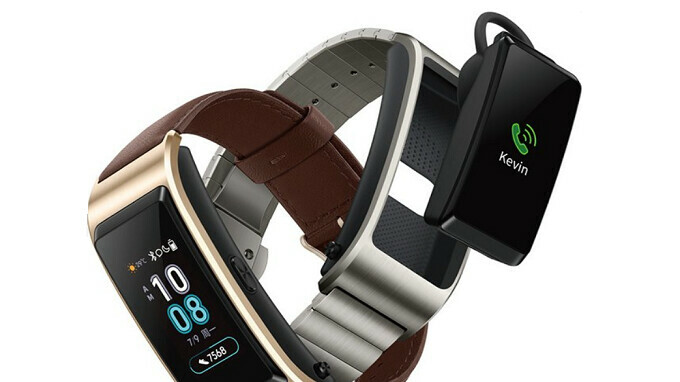 Do you remember the Huawei TalkBand B3? This was the last version of the wearable, which was released in 2016. It is similar to a fitness tracker with several additional capabilities. For example, the display module doubles as a wireless Bluetooth earpiece that you can pop out and place in your ear to listen to streaming music or calls. Pairing the device with a nearby iOS or Android handset means that you can call numbers off a contacts list, or return missed calls. You can also answer incoming calls made to your paired phone with the TalkBand (hence its name). As a fitness tracker, it monitors certain activities like running, walking, climbing, and even sleeping. The device also counts your steps and the amount of calories you've burned. Your progress can be viewed through the product's iOS or Android app; the TalkBand B3 has an IP 67 rating allowing it to be submerged in up to 3 feet 3 inches of water for as long as 30 minutes, and surface unscathed. The unit offers other functions as well, allowing you to set alarms, track the weather and more. This morning, tipster Evan Blass tweeted a render for the next version of the wearable. Because the number "4" is unlucky in China, Huawei is skipping it and is going straight to the Huawei TalkBand B5. According to the date on the render, we wouldn't be surprised to see Huawei introduce this next Monday, July 9th. Stay tuned. Sounds true, but there have been Honor 4C, Honor 4X and Honor 4 Play..